Statistics show that 30% of America has high blood pressure and another 30% are pre-hypertensive. This is a huge number and it’s terribly dangerous. However, there’s something you can do about it to turn things around to reduce if not eliminate your possibility of getting hypertensive. Be sure to listen to the full episode to learn the top three things you need to take care of for better blood pressure. 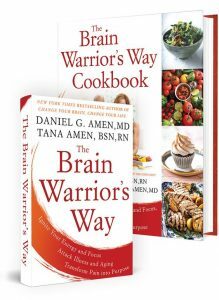 Dr Daniel Amen:	Welcome back to the Brain Warrior’s Way. We’re here with Dr. Mark Houston. Tana and I are having such fun with him and learning so much. That's why I love doing this podcast. Thank you, Mark, for being with us. Dr. Mark Houston:	Thank you Daniel, again. Dr Daniel Amen:	Today we’re going to talk about hypertension. What did I read recently, 30% of America has high blood pressure and another 30% are pre-hypertensive? It’s crazy. It’s actually virtually the same as diabetes and pre-diabetes. Both diabetes and hypertension significantly increased the risk for dementia, so it’s really important for us to talk about. As your blood pressure goes up, blood flow to the brain goes down. Dr. Mark Houston:	Correct, so hypertension is clearly the number one reason that patients to go see their physician and your numbers are dead on. About 30 to 40% are hypertensive, defined as greater than 140 over 90 millimeters of mercury. Then the pre-hypertensive is another whole group of another 20 or 30%, which is defined as greater than 121 over 89, so in that range. Hypertension is really not a disease and this is an important concept, it’s a process. Hypertension is related to three primary responses in the artery, inflammation, oxidative stress, and vascular immune dysfunction. What we’ve determined recently is that if you look at children of hypertensive parents, they already have abnormalities of their structure and function of the cardiovascular system. They have endothelial dysfunction. They have diastolic dysfunction, which is thickness of the heart muscle. They have left ventricular hypertrophy, which is enlargement of the heart, and they even have carotid IMT issues that are going on at an early age. It’s because the disease is a vascular disease. It’s a vascular biology permutation that’s dysregulated early on so that the hypertension actually becomes a marker of the diseased artery. Then you have this bi-directional communication. Blood pressure goes up, more damage to the artery. I think the disease really starts as a process in the artery, and the blood pressure is simply a marker for a dysregulated problem in the arterial system. Dr Daniel Amen:	When you started your career, was hypertension as prevalent as it is today? Dr. Mark Houston:	I think it was probably less prevalent and less diagnosed because we didn’t have all the automated blood pressure machines. People were not going to their doctor’s office to get it checked. It may have been there but, honestly, I think it’s increased because of our sedentary lifestyle and our very poor nutritional habits. Dr Daniel Amen:	What are the best things, if someone’s blood pressure is high, or it’s creeping up? Their doctor wants to put them on medication, or in many cases, multiple medication. What are the best things people can do to take care of their blood pressure? Dr. Mark Houston:	There are three top ones and two others I’ll mention. Number one is the optimal nutrition, and that's basically a plant-based diet with low sodium, high potassium, high magnesium, and the name for that’s called DASH Two, or the typical Mediterranean diet, PREDIMED. Those are well studied and show reductions in blood pressure and heart disease. Second is a supervised exercise program where you’re doing both aerobics as well as resistance training. Weight management, but it’s really more than weight. It’s body fat, particularly visceral fat, which is associated with inflammation of the arteries, and then of course you’ve got sleep, and you’ve got to reduce your stress and meditate. Those are the top five things that you have to do [crosstalk 00:04:23]. 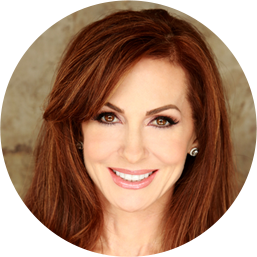 Tana Amen:	When you talk about a plan-based diet are you saying no meat? Dr. Mark Houston:	No, I’m not saying no meat. I think that you’ve got to have the protein and you really need quality protein. I stay away really from processed meat totally, whether it’s red meat or other meats. Try to go organic, and I typically eat more in the way of coldwater fish that I can have a good source. Particularly, New Zealand has some good coldwater fish you can ship. You can get wild salmon from the Northwest Territory; those, I do. I’m more of a Paleolithic vegetarian, so to speak, but I think you’ve got to have more emphasis on the vegetables, particularly vegetables, multicolored, then the fruit, depending on your dysglycemic response. Tana Amen:	You’d say 70 to 80% plants and then a little bit of high quality protein? Dr. Mark Houston:	That would be a good number to shoot for, yeah. Tana Amen:	Yeah, it’s right in line with what we say, so I was just curious. I thought I had heard you say before that you did recommend some high quality protein. Dr Daniel Amen:	Vegans have better blood pressure or not? Dr. Mark Houston:	Vegans, depending on how you define the vegan. A pure vegetarian diet that has no meat whatsoever typically have the lower blood pressures and the lowest risk for coronary heart disease. As you add things to it like a pesco vegetarian, or up the food line, the risk will change a little bit. But in general, when you put an omega three diet, either supplement or fish, coldwater fish, with the plant base, there seems to be a little extra benefit in both cardiovascular events, you but also blood pressure and maybe even in lipids. Dr Daniel Amen:	I’m just thinking vegans really don’t get EPA and DHA in their diet because they come from meat sources, and when those are low inflammation goes up, depression goes up. Tana Amen:	But they will claim that they do get omega threes from plant sources, but only 5% coverts, correct, so you’ve got to be careful. Dr. Mark Houston:	Yeah, you don’t get that much from [ethanoic] acid, but you can get algae based omega threes now. Tana Amen:	Right, that's what I want them to hear, is you can get an algae supplement. Dr Daniel Amen:	Right, for DHA, but not EPA. Dr Daniel Amen:	EPA, you know, it’s interesting from a brand perspective, DHA doesn't help depression and it doesn't help ADHD, which is one of our specialties. But EPA does, which goes against common wisdom that DHA is more brain and EPA is more heart. Given that your brain and heart really are in love with each other and critical to each other, all the studies point to EPA being much more effective for ADHD and depression. Tana Amen:	I want to point one more thing out because we have a lot of people who come in here claiming that they’re vegans and they don’t understand why they’re having health problems. They’re eating French fries, rice, potatoes, okay, so vegan and health are not synonymous. We have to point that out. He means when he’s talking about a plant-based diet, he’s not talking about fried zucchini and French fries. We’re talking about a seriously plant-based diet. Dr. Mark Houston:	Yeah, and the other thing as you consume more omega sixes, as you know, you deplete your omega three pathway. That's a bad thing. What I typically do in our patients, we give a balanced EPA/DHA and a three to two ratio for most patients, unless we need to tweak it for one thing or another, with the other things I mentioned earlier with GLA and the [inaudible 00:08:13]. That way, you get kind of what’s in nature when you eat because that's typically a normal ratio in the plant … Not in the plant base, but in your omega three dietary intake. Dr. Mark Houston:	A three to two ratio of EPA to DHA. Dr Daniel Amen:	Right, yes. This is so helpful. Hypertension … How often should people measure their blood pressure and in what situations should they measure their blood pressure, because sometimes when they go to the doctor that makes them anxious all by itself? Tana Amen:	Well, and I want to add one thing to that. At what point is it time to consider medication? Because, I mean, a lot of people don’t want to do medication. We always want to tell them do everything you can that’s natural, but there’s a point where medicine plays a role, right? So talk to us about that. Dr. Mark Houston:	Let’s talk about the real issue with hypertension and the diagnosis, which is again, another myth out there. We have typically used office blood pressures to diagnose hypertension. Now we’ve moved to home blood pressures with automated cuffs, which helps you get out of your white coat hypertension which you mentioned. Honestly, the only way to really diagnose hypertension correctly and get all the parameters within the hypertension context is a 24-hour blood pressure monitor. Here’s the reason for that; an office blood pressure or even a home blood pressure is a point in time. It’s not going to give you the parameters you need to either diagnose and/or treat appropriately, either with supplements, nutrition or even exercise and drugs, because you can’t time when the blood pressure is high or low by doing only one reading. The parameters you have to use are blood pressure variability, blood pressure load; that's the mean average, the dipping status; that is what is your blood pressure at night. In other words, nocturnal blood pressure, the mean average at night, compared to the mean average during the daytime is the driving force for stroke and heart attack, not your daytime pressure. You don’t get that when you do home monitoring. You don’t get that when you do office readings. You only get it with a 24-hour monitor. The other issue is how quickly do you go from your resting blood pressure at 3:00 am in the morning, when you’re getting ready for your day? The pressure shoots up not only quickly but to very high levels. That's also a risk. Now, the second thing you ask yourself, how do you decide what medicines to give? Well, it’s based on the 24-hour ABM. This is where we’ve gone to a whole new standard of care. We used to say well, if it’s above a certain level and you have so many risk factors, you need to start a medication. That's still true but how do you know when the blood pressure is up? What time of day is it up? Are they a dipping patient? Should you give your medications in the morning or at night, depending on what is the highest reading? Dr Daniel Amen:	Oh, how interesting. 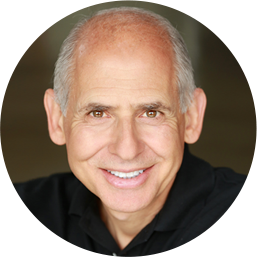 Dr Daniel Amen:	I read a study just recently about non-dippers, and if you eat before bedtime, you are more likely to be a non-dipper, which means your blood pressure doesn't naturally drop. Give yourself three hours from the time you have dinner until the time you go to bed and stop munching. Dr. Mark Houston:	Yeah, and the reason for that is most people are not eating a non-inflammatory diet. Tana Amen:	I was just going to say, because I tend to be hungry at night but I eat really well and I’m on the thinner side and I have low blood pressure. Is it is a big deal for someone like me to have a snack before bed? Dr. Mark Houston:	Well, if you eat a good diet in the evening your pressure may not go up. It’s when you eat an inflammatory diet, which most people do, and that's when it goes up and it will stay up for sometimes four to six hours. Tana Amen:	Okay. No, high for me is 110 over 60. Dr Daniel Amen:	Two other questions quickly. What about the issue of iron and heart disease and blood pressure? Tana Amen:	I have lots of questions about that. Dr Daniel Amen:	If you have the steak with red wine, you’re going to be accumulating more iron. People think, you know, well that's healthy for me, and I’m like maybe not. If you have high iron, what are the best ways to lower it? Dr. Mark Houston:	An elevated serum iron or a ferritin level, which is storage form of iron, is associated with strokes and heart attack and myocardial infarction in both men and women, men in particular, women mostly after menopause. There’s very specific levels that you want to measure. Iron is a catalyst for oxidative stress, just like copper. If you have high levels you can have all these cardiovascular events. We try to get the serum ferritin in all men at 80 or less; that’s our goal and if you’re over that level, there’s an increasing risk. There’s a genetic [step 00:13:50] for hemocrhomatosis, very common in Western Europeans. I check that iron level in every patient. If it’s elevated, iron or ferritin, I get their hemocrhomatosis genetics. If it’s elevated, the only way you can get the iron out is phlebotomy. Tana Amen:	I was going to say, so it’s donating blood. Dr Daniel Amen:	It’s donating blood or being bled by leeches. Dr. Mark Houston:	Yeah, or a really good hematologist who is not a leech. Tana Amen:	Let’s stick with the hematologist. For those of us with low iron, especially women say premenopausal, it’s okay to take some ferritin. Tana Amen:	I don’t want people to go, “Oh, well, it’s good that I’m low,” because it makes you feel lousy. Dr. Mark Houston:	No, you don’t want to get too low either. Dr Daniel Amen:	No, and you won’t make dopamine [crosstalk 00:14:33]. Tana Amen:	Yeah, because you feel terrible. Dr Daniel Amen:	Right. Last question on hypertension … Hypertension is a risk factor for dementia, except in the old, old people where, actually, low blood pressure is a higher risk for dementia. If we have somebody who has low blood pressure, what are some strategies to help get it in the normal range? Dr. Mark Houston:	Well, you bring up a great point about the elderly because they have very stiff arteries, which means their systolic pressure is typically high, but their diastolic pressure is very low. It gives them a high pulse pressure, which means they don’t perfuse well when their diastolic is low because that’s when your diastolic perfusion is going on. Those people have a very high risk for, not only MI’s, but also CVAs because of the low perfusion in both organs. If you have that problem you have to be careful about what you give, particularly medications, not just hypertensive meds. A lot of meds that can alter those hemodynamics in an elderly patient, and alter their cerebral blood flow. Dr Daniel Amen:	Awesome. You’re here at the Brain Warrior’s Way. We’re here with Dr. Mark Houston. Stay with us. We’re going to talk about cholesterol and pick up his book, which your doctor may not tell you about heart disease or go to his website hypertensioninstitute.com. Stay with us.